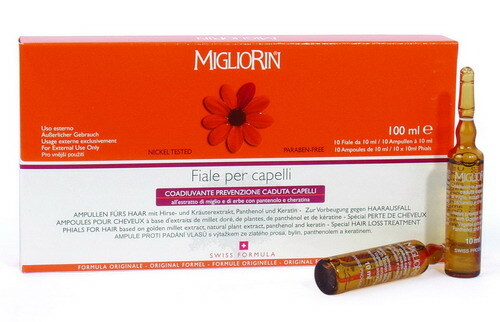 Dietary supplement in gel capsules to nourish the hair and, at the same time, strengthen the nails. With golden Millet, rich in Silica, important for the protection and structure of the hair. 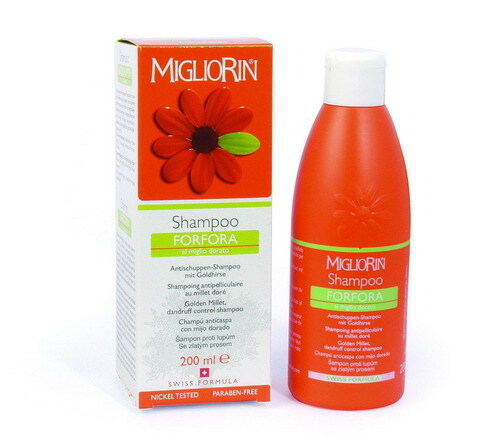 For a perfect hair care from inside and outside, try also our MIGLIORIN shampoos, conditioner, spray lotions and phials, naturally with golden Millet too. 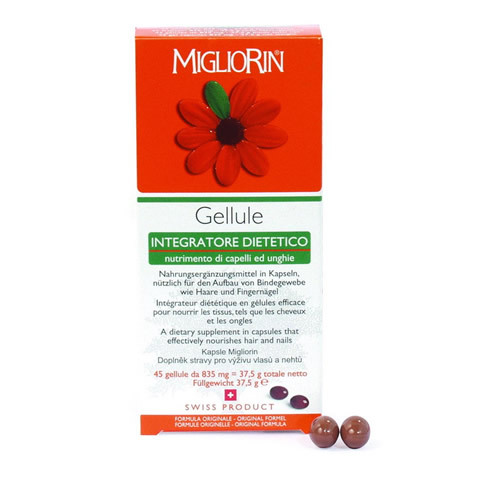 Dietary supplement in gel capsules to nourish the hair and, at the same time, strengthen the nails. 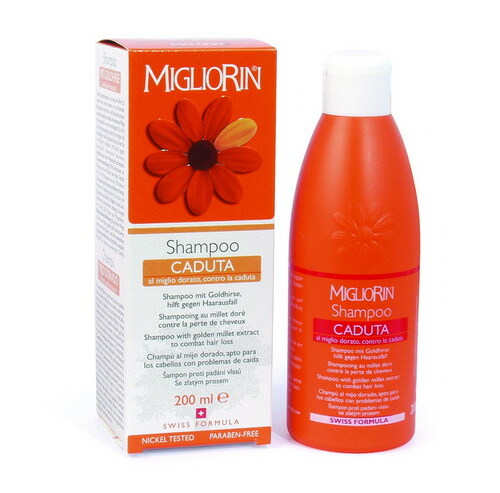 It contains Sulphuric Amino Acids, Vitamin E, Equisetum, Keratin, Calcium Pantothenate (Vitamin B), Extract of Golden Millet and Wheat germ Oil and acts from within, protecting the hair, encouraging natural growth, strengthening the roots, improving scalp oxygenation and fighting excess grease and hair loss. At last 3 products in one for cleansing the body and hair after physical exercise. The ultra-gentle formula for this shower foam, shampoo and conditioner guarantee an easy and pleasantly refreshing result for all types of skin and hair. Cleansed and hydrated skin, healthy, glossy and easy-to-comb hair. The beauty of the hair depends on the condition of the scalp. Pollution, stress, fatigue, dandruff may cause redness, itching and discomfort. The hair thus appears dull and weak. 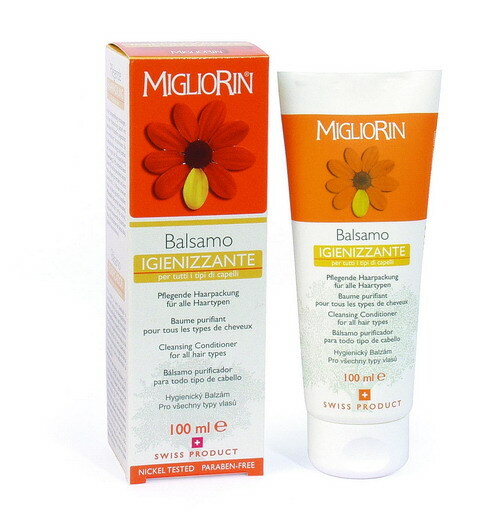 Migliorin Cleansing Conditioner is a real beauty ritual, which frees the scalp from stress, dandruff and impurities every time, restoring perfect balance and achieving incredible results. A specific treatment designed to enhance the splendour of your hair, that deeply soothes, hydrates and purifies the scalp. Your hair will be incredibly glossy, soft and easy to comb. For a sensation of well-being you have never felt before. 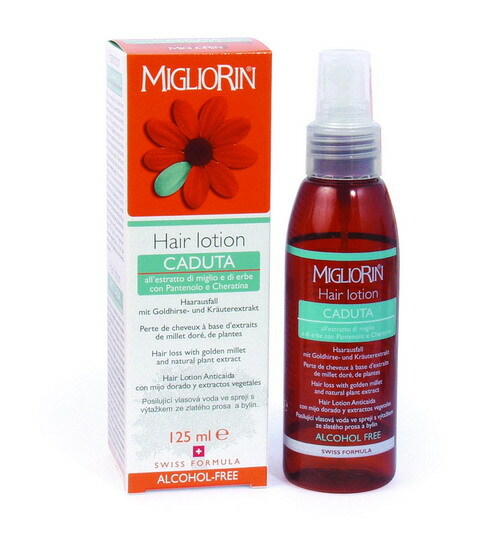 Migliorin hair loss spray lotion, formulated from ingredients with anti-inflammatory, antibacterial and soothing properties, helps to prevent and combat hair loss. Its purifying and softening ingredients stimulate outer skin circulation oxygenising the scalp. Keeps roots efficient, ensuring the growth of strong, beautiful hair. 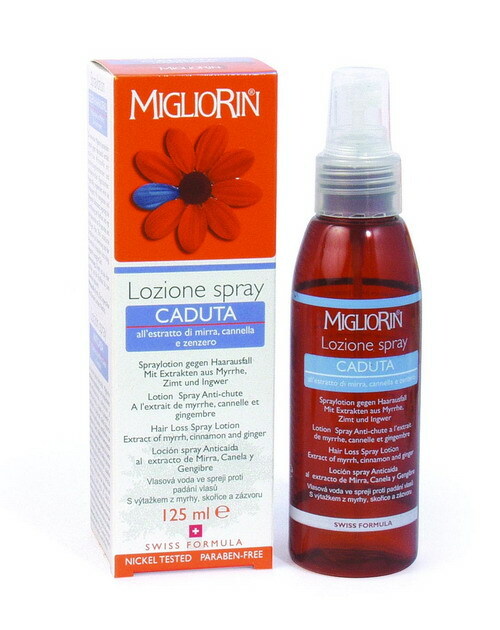 This practical spray lotion leaves the hair delicately perfumed. 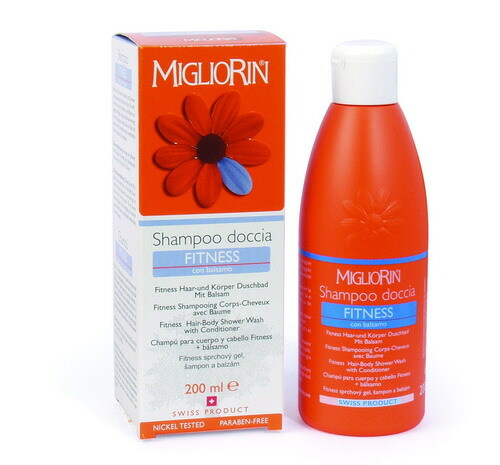 For daily use after the shampoo. No rinsing required.